US Secretary of State Mike Pompeo voiced hope Monday that renewed American engagement with Hungary's Viktor Orban would help steer the increasingly authoritarian leader away from Russian and Chinese influence. But Hungary's foreign minister retorted that Budapest was tired of the West's "enormous hypocrisy". Hungary, Russia's closest friend within the European Union, agreed with Pompeo to seek closer defence ties and cast itself as a natural ally for President Donald Trump's brand of nationalist politics. Pompeo later told Orban's government that he would be upfront about concerns with Hungary and voiced worries about inroads of influence by both Russian President Vladimir Putin and China. "We must not let Putin drive wedges between friends in NATO," Pompeo said. "An authoritarian Russia will never be a friend to the freedom and sovereignty of smaller nations." 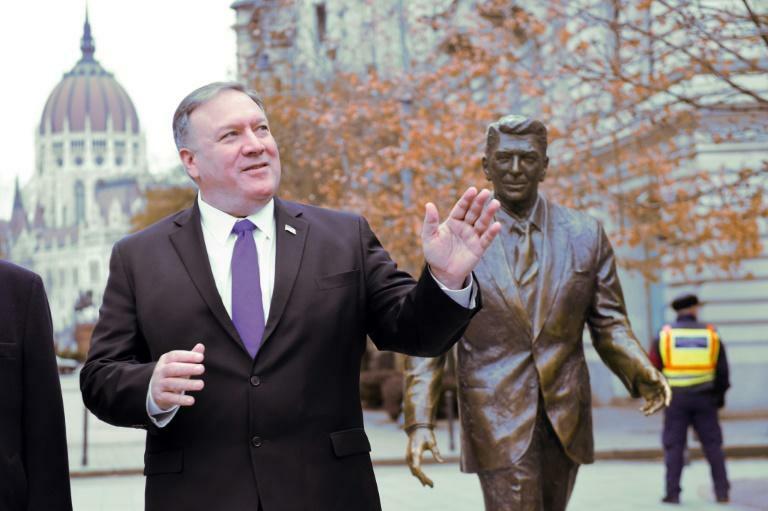 Alluding to former president Barack Obama's cold shoulder to Orban, Pompeo said the United States had pushed Hungary into the arms of "folks who didn't share our values" and vowed to "compete for positive influence in the region". 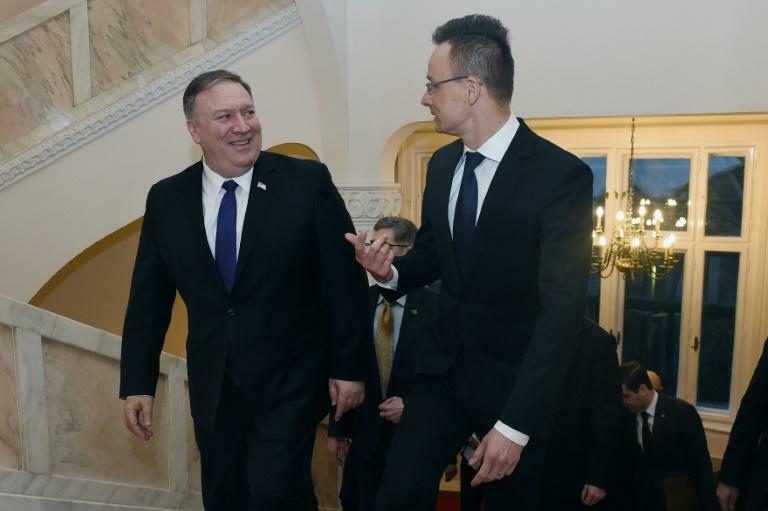 Pompeo, standing next to Foreign Minister Peter Szijjarto at a joint news conference, said the US was "increasing support to help Hungary in its fight against corruption" and highlighted US help to train an independent media -- under fire from Orban. The two countries said that they had concluded negotiations on a defence cooperation agreement -- which would let the US military operate more freely in Hungary, already a NATO ally. Szijjarto said the deal would be presented next week to a committee of the Hungarian parliament and also promised without specifics to increase Hungary's purchases of US arms. But Szijjarto also denounced criticism of Hungary's diplomacy, saying that the country of fewer than 10 million people was not in a position to reshape world politics. "When it comes to Russia, I told the Secretary as well, there is an enormous hypocrisy and political correctness in the European political arena," he said. He said that Hungary relied on Russia for 85 percent of its energy needs -- and noted that French President Emmanuel Macron took part in a major economic forum in Saint Petersburg last year. "We are fed up in a legitimate way that you usually portray us as having a tight relationship with Russia," he said. But Szijjarto said he was hopeful for closer relations under Trump, saying that Orban shared the US leader's "patriotic" worldview that includes curbs on migration, an emphasis on Christian identity and hostility to multilateral organisations. Just days before Pompeo's visit, Orban's office issued a statement assailing Hungarian-born US philanthropist George Soros, also a bete noire for the US right-wing, as it accused him of trying to turn Hungary into an "immigrant country". Regarding China, Szijjarto said that British and German contractors were involved in Hungary's agreement with Chinese telecom giant Huawei to build a fifth-generation mobile network. "If that equipment is co-located where we have important American systems, it makes it more difficult for us to partner alongside them," Pompeo said. "We want to make sure we identify (to) them the opportunities and the risks with using that equipment. And then they will get to make their decisions," he said.